As the Duchess of Cambridge's third pregnancy is coming to a close (she's due this month), we thought we would look back at our favorite fashion moments from her third pregnancy. 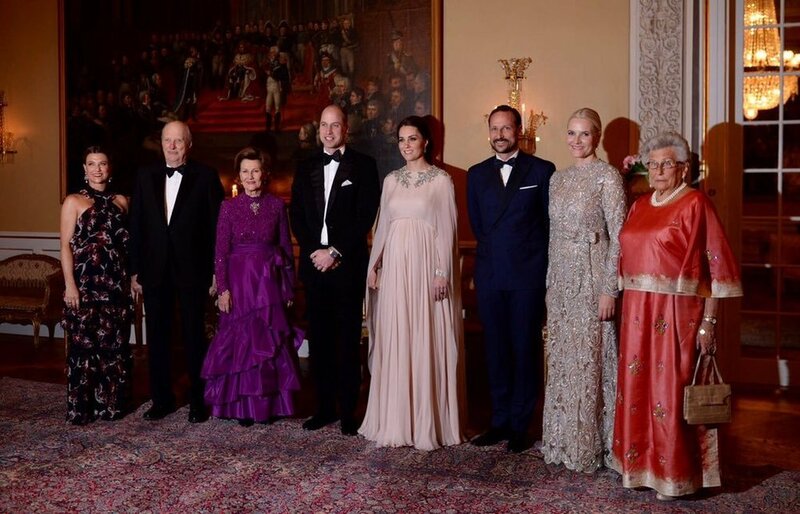 My all-time favorite pregnancy look of Kate's occurred during this pregnancy when she attended the gala dinner at the Royal Palace of Oslo during her and William's tour in early February. She was in a gorgeous white, caped Alexander McQueen gown with embellishments around the neck. It looked wonderful on her, and it's a shame we will probably only get to see it on her once. Another favorite of mine was the navy and blue Seraphine Phaedra Woven Maternity dress she wore on February 21 when she visited Sunderland with Prince William. I also thought her white boucle tweed Alexander McQueen long-sleeved minidress was very flattering. She wore it in Sweden on January 31, 2017, when she visited the Karolinska Institute and Haga Palace. She also carried a burgundy Chanel bag and wore a pair of matching Tod’s heels. 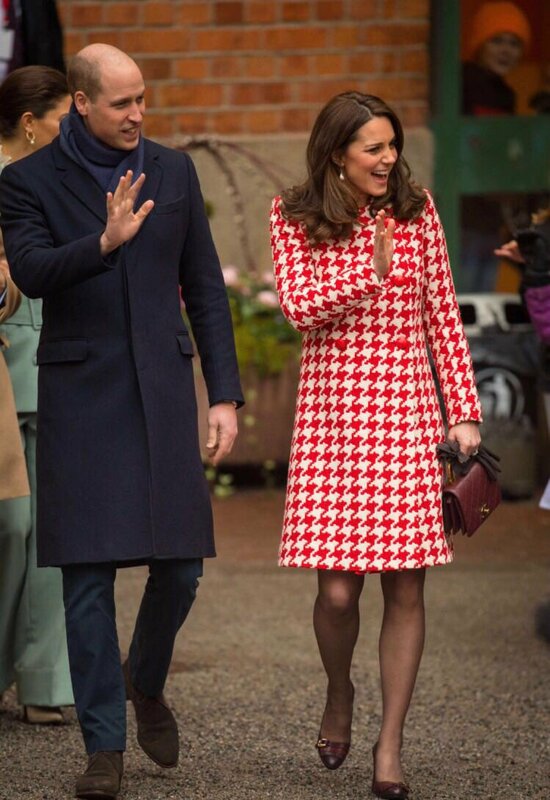 I was also a fan of the red and white houndstooth Catherine Walker coat she wore over it! I think my favorite maternity outfit Kate wore (outside of the gorgeous McQueen gown Brittani chose) is the Beulah London navy coat she had already worn when pregnant with Charlotte! It was already my favorite maternity outfit of hers then and it still is! I think it's very flattering, and I love the overall vibe of the outfit. Another one of my favorites is the green Jenny Packham gown she wore to the BAFTAs. I know there was a lot of controversy about it but from a fashion point of view it was such a flattering gown, and I loved the color! My last choice is not specifically related to the dress (although I liked it!) but more to the context. It is the Orla Kiely dress she wore when visiting the new National Portrait Gallery's exhibition. It's not her best dress and it's another floral one but I was there when she arrived so I got to see her and she was so beautiful and the dress looked really good in real life , I just had to include this outfit in the list! I loved her Catherine Walker coat with the McQueen dress from Sweden. I loved the print of the coat and the texture of the dress paired together. It had a very Jackie O feel to it. I also loved the McQueen cape gown. It was the epitome of glamor, and I'm only sad that wasn't a tiara event. Finally, the last engagement where she wore the Hobbs top with the repeated Goat coat. 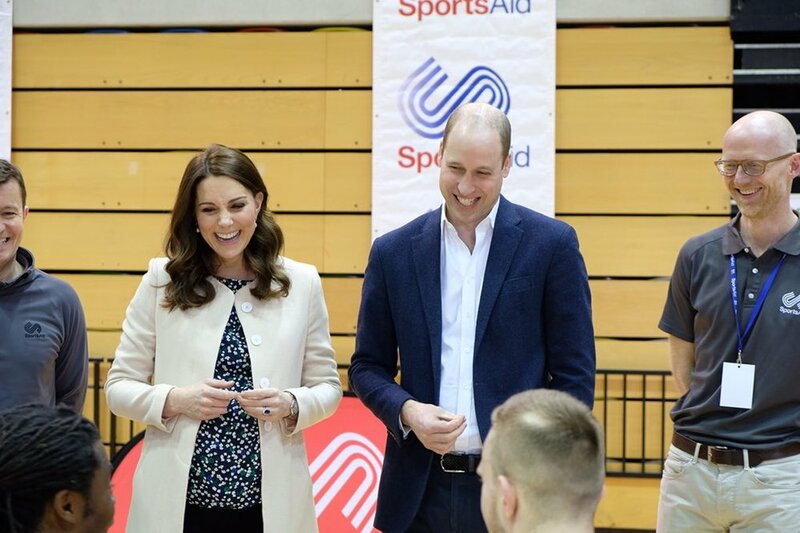 Kate doesn't wear separates to engagements a lot, and I loved the outfit. It wasn't as matchy matchy as she typically goes, but all of the pieces work together. I also love the brand Hobbs and would like to see Kate wear it more. I also really liked the outfit Kate wore in Sweden with the Alexander McQueen dress and red houndstooth Catherine Walker coat! Another favorite of mine was the outfit she wore for her last engagement in March before maternity leave. She was in her white Goat coat and Hobbs printed shirt. Admittedly, I wasn't overly fond of many of her third pregnancy outfits. This outfit that she wore in Sweden to an ice hockey event was my favorite by far. Kate wore a Burberry coat with a sweater by Swedish designer Fjallraven. She also wore Sorel boots in the Torino style and a Eugenia Kim knit cap in the Rain with Faux Fur Beanie style. I thought Kate's blue Seraphine dress with the two buttons under the bust was another good outfit, as well. She wore it at the first annual Royal Foundation forum alongside Prince William, Prince Harry and Meghan Markle on February 28, 2018.